Patrick was a very nice and knowledgeable man. Quiet and unassuming, I enjoyed talking with him immensely. If you have not ever been to this museum, you really should check it out! The gift shop alone is awesome! As you can see, there are tents to the left of the front entrance. Here is where you can see reenactment soldiers, both Yankee and Rebels in full dress uniform, sleeping in the tents and gathering by an open fire. They were most kind and helpful and lent a very realistic air to the whole Civil War atmosphere that is Gettysburg. Inside, there is a wax museum section off to the left that you pay to go into. This is where Patrick and the other team members led those who signed up for the ghost hunt into some of the areas within that there has been some strange happenings. Patrick pointed out a certain area for me to focus on as I was having not much luck in one of the larger rooms as the EMFs were just so high from all the electrical power wires for the interactive displays. So I set up my equipment and took some random pics but only got a few reflections off the guard rails and such although I did pick up a few words coming out over the PX. I did use my laser grid at one point but as like with most public ghost hunts or events, there were too many people to really rely on the evp sessions as I could hear the girls' voices who were in the group and too many were running around, sadly. I took both of these using different types of flash and no flash. Again, the shine you see at the end of the hall is just from the lights I had and it is not anything paranormal from what I can see. I felt there was something however by the door to my left in the pic, but I again, did not pick up anything on the camera but a shine of the flash reflection. Words on the PX were typical to what you might hear..."Soldiers...battle...highway..." things like that. I didn't really get any other feelings for anything although the group had congregated over by a certain area and seemed to be getting responses from an entity or spirit with the use of dousing rods. I preferred to be away and alone to try to see if I could communicate per chance with whatever might be lingering there in the Civil War Museum. But there was nothing that I could detect using my equipment that night at that moment there. I say that too because that is not to discount that there is something there. 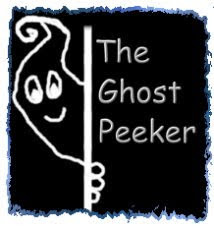 I think many who investigate think there must not be anything there when they don't experience anything nor register anything with their equipment but that could just mean that the spirits did not interact with you personally or perhaps not that particular night or time. It is why you spend many hours and sometimes a few visits to the same location. Many believe after watching shows that it's a quick reaction or replies but those shows you see are hours of investigating condensed down to the best and choicest of moments in just 20 minutes of air time. I do want to take a moment out and talk of the friendly and kind staff that work here at the museum too! I had a great chat with the one lady behind the counter and I loved all the civil war memorbilia and music cds they have here. A lot of great civil war gifts here in the gift shop! Be sure and check it out while visiting Gettysburg!